WE MUST PROVIDE THE TOOLS TO GET AHEAD! YOUR STATE, GOVERNMENT OR LOCATION SHOULD NOT LIMIT YOUR POTENTIAL! WE MUST ALL BE INDEPENDENT, FREEDOM LOVING LIFELONG LEARNERS! Nurture and expand learning opportunities in all schools including public, private, charter, online or homeschool! Encourage a Volunteer Statewide Mentoring Program that focuses on the 3R’s that include reading,writing and arithmetic! Provide Merit Pay and Raises for Good Teachers! Close Failing Schools tomorrow, retrain teachers! Federal Education standards have not improved the outcome of education and have been, in fact a hindrance. Teaching to the lowest common denominator lowers the overall quality, increases the teacher workload with tracking and reporting requirements for funding which reduces the time available for connecting with the students, and increases the need for additional support staff and administrators. Funding should go with the student not to a school, thus funding charter schools. Any resident child graduating from a Georgia High school should be eligible for in state tuition and not be punished for the sins of their parents. Teaching the proper role of government and self-governing. Metz supports the campus carry law on the books in Georgia. “We are not educating our children to be critical thinkers. We are educating our children today to accept what authority tells them. They get upset if they have to think about something and that’s wrong. So do as you’re told, don’t use your brain, is just so wrong. So the governor’s control over the education budget would allow me to strike out some of these ridiculous Common Core educational standard subject matter and steer it toward developing a child’s mind, developing their curiosity, developing their critical thinking skills as well as bringing in industries for apprenticeship programs. We need to get kids out of high school job-ready and we don’t have that now. Kids today getting out of high school, very few of them have any ambition to do anything other than go to college with some sort of education grant, scholarship or loan. So they delay going into the workforce and then graduate with $75,000 to $100,000 debt. If we had vocational training in schools, if we had skills development in schools, and focused on health and nutrition and how to take care of your body…We teach now for everyone to rely on government from cradle to grave and now we have a bunch of entitled kids wanted more entitlement. 1. Briefly share your qualifications for the office of Governor. What is your vision for Georgia’s K-12 public education system and how would you implement it? Please describe your position on public charter schools? I had a traditional upbringing in a 2 parent, stay at home mom environment with sports, scouts, church, travel, education and culture. I am a US Navy Veteran, College Graduate, Small Business Owner, Grandparent, Cancer Survivor, Historian, Philosopher, Political Activist, Gov’t Watchdog, who is sick and tired of government waste, fraud, abuse and corruption, and I am a Humanitarian and sit on the Board of several 501(c) organizations and stay active in many coalitions fighting the perversion of gov’t of all levels. My vision is for a system that has an 98% success rate for graduating our youth with the necessary skills to be functional, moral, ethical, productive members of society that seek to continue to learn and grow throughout their lifetimes while making positive contributions to mankind. We need an educational system free from political agenda driven indoctrination that teaches deductive reasoning skills enabling true discernment (not regurgitation to pass a Federally mandated test) based of factual (non-revisionist, non-agenda driven, non-political) and truthful science and history, balanced with health & nutrition, physical fitness, classic philosophy, math, logic, art, theater, music and vocational training. To implement this I would use persuasion to bring allies to understand, echo and perpetuate the concept, also the line item veto, veto and Executive Order authorities of the office. Public Charter Schools are certainly one step in the right direction towards offering the public a choice in educating their children. The very fact that there is so little competition in the educating of our youth allows for the top down tyranny in the methods, the curriculum and the funding. 2. What do you think are the three greatest issues or problems facing K-12 public education? How could Georgia’s public charter schools help address these issues? A decline in parental involvement. One aspect of parental involvement is the lack of self-discipline of the students as regards respecting teachers and other students by exhibiting disruptive behaviors inside and outside the classrooms. Seems to me that too many parents are clueless as to instilling a sense of wonder, excitement and passion about learning, self-enrichment and achievement. Also from my perspective, it appears that kids today are not taught a correlation between actions and consequences because there are never any consequences for those who act out, act up, or don’t act at all. An increase in reliance on technology, I’ve read several studies that conclude that books and a chalkboard are more effective than smartboards, laptops, and high-tech gadgetry at a fraction of the cost. Internet based tools are unfair to the economically disadvantaged. Look at the decline in reading proficiency over the course of the data and one could conclude that technology has dumbed us down. A takeover by outside, un-accountable corporate entities as sole providers of curriculum and materials and methods of instruction. without a textbook, parents have no idea what their children are actually being taught, and with the changes in methods, the parents are ill-prepared to help their kids with their lessons which leads to frustration and a breakdown in parent/child relationships. Furthermore, without hardcopies of the material, it is difficult for a parent to know what political or social agenda confronts their children. Charter Schools could help by being transparent in their educational agenda, methods, materials, and by teaching in Sensus Plenior modality, versus Sensus Solem. 3. In 1998, legislation was passed enabling the creation of start-up (new) public charter schools, providing Georgia parents with a greater ability to choose their child’s school. Since then, school systems across the Georgia have implemented an array of school choice programs, including the creation and replication of public charter schools. Do you support a parent’s right to choose the best school for their child/children? Why or Why not? I absolutely support AND encourage parents to exercise their right to choose the best school choice for their children. To reiterate that my family moved frequently during my childhood and before each more their first consideration for our next domicile was always the quality of education provided in the State, County and District for the location under consideration. This is how we ended up in Atlanta, at the time Henderson High in DeKalb county was the highest rated public school. With that said, the other aspect of school choice is transportation. If a parent chooses a school that isn’t on their local district’s bus route, who should be responsible for transporting the student? Most argue that it is the parent’s responsibility, yet that is unfair to the economically disadvantaged. Therefore, the real challenge in the current schema is how to transport the students to the school of their choice. 4. One of the fundamental aspects of public charter schools is autonomy – public charter schools receive the flexibility to innovate in exchange for a higher degree of accountability. If elected, how would you ensure that your administration develops and implements regulations that respect public charter schools’ autonomy and their ability to make the key decisions that affect a school’s daily operations? 5. For the first time in recent history, the Georgia General Assembly fully funded the Quality Basic Education (QBE) funding formula and eliminated austerity cuts in the fiscal year 2019 budget. Previously, Georgia ranked 38th among states for public education funding. What action would you take to ensure traditional public schools and public charter schools have the funding they need to properly educate all of Georgia’s students? Would you prioritize updating the QBE funding formula to keep pace with Georgia students’ needs? Why or why not? One of the best ways to ensure funding is to increase the tax base by attracting new companies to locate here in our Great State and by lessening the regulatory burdens that suppress new business start-ups and entrepreneurs from creating new jobs and opportunities. Also, I’d use the line item veto power to defund wasteful, inefficient, antiquated, unnecessary, and redundant programs and departments to ensure that funds be available for priorities such as education and healthcare. I would indeed prioritize the updating of the QBE funding formula to keep pace with the needs of the students. This is a very tricky question to answer because, ultimately, the power to legislate rests in the General Assembly and they are human and easily influenced by slick talking lobbyists and the allure of campaign contributions, but with that being said, as Governor, I can use the power of the veto, and the access to the news media to expose any nefarious plans to undermine or abolish the current Georgia Code. Also, there is the ability to form committees and commission studies to help identify areas of concern and methods for implementing solutions. Personally, I am pro-Laissez-faire. As long as the educational outcome standards are being met or exceeded, I would undertake any actions necessary to keep those with “good intentions” from meddling with a system that is working. 6. Today Georgia charter schools must devote precious operational dollars to cover building costs instead of using these dollars for teacher salaries, textbooks, technology, and other items. In 2017, the Georgia General Assembly passed HB 430 to provide public charter schools with facilities funding but stated that funding for the bill was subject to appropriations. Would you support fully funding HB 430 to provide adequate funding for charter school facilities? Why or Why not? I absolutely support the full funding of facilities as written in HB 430 and to do so, as I stated in question 5, I’d use the line item veto power to defund wasteful, inefficient, antiquated, unnecessary, and redundant programs and departments to ensure that funds be available. Furthermore, I will encourage the Legislature to pass the Universal Charitable Contribution Act, which would allow Georgians to direct/deduct a portion of their income tax towards a worthy cause, such as a Charter School Fund, or to a specific charter school. I would furthermore persuade the Legislature to include in any future bill legalizing casinos, para-mutual betting, horse racing, or cannabis that a percentage of the tax revenue be directed towards funding public education. Mr. Metz states that his vision for the future of the education system is a 98% graduation rate for students leaving school with the necessary skills to be functional, moral, ethical, productive members of society. In order to see his vision come to fruition, Metz would like to see the educational system free from political agenda driven indoctrination. We should be providing our youth with reasoning skills that enable true discernment. Not enabling them to pass Federally mandated tests. Education should be based off factual and truthful science and history,and be balanced with health and nutrition, physical fitness, classic philosophy, math, logic, art, theater, music and vocational training. Metz believes that a lack of parental involvement in the education system has played a large factor in the current decline that we are seeing. From his perspective, kids today are not taught a correlation between actions and consequences because there are never any consequences for the ones who act out. The over abundance of the technology in the classroom is another factor that Metz believes is leading to the decline of our education system and the decline of reading proficiency among students. In order to implement his ideals on education, Metz plans to use persuasion to bring allies to understand, echo and perpetuate the concept, also the line item veto, veto the Executive Order authorities of the office. Metz believes that a mix of school choice, for parents that wish to send their children to schools outside of their zone, a decrease in the government involvement in the educational system and allowing for the growth of more charter schools is the best way to turn around the current decline in our system. The General Assembly last year, for the first time since 2002, fully funded public education in Georgia. However, education advocates have called the funding formula outdated. How would you approach this problem? The General Assembly fully funding public education is somewhat of an inside joke, since they appropriated 100% of the dollars calculated by the QBE formula, a formula that was first implemented in 1985. Much has changed since 1985, and now it is partially out of date in its method of calculating the actual cost of education per student per district. However, the QBE formula is somewhat adequate as regards accounting for the numerous and diverse costs associated with proving public education to a student. The method of calculating the necessary funding levels needs to be revised to incorporate any of the advanced computer modeling, accounting, tracking and forecasting software packages already written and available. The QBE funding concept is good, but needs to be updated to match the computer age. There are plenty of brilliant people that would be able to devise a better method of calculating costs per student based on the enhanced demographic information available on the internet. REBUILDING GEORGIA FROM THE GROUND UP! Let’s keep in mind that Governor Deal signed H.B. 930 on May 4, 2018 allocating $100 million dollars for transportation infrastructure improvements for rail, light rail, highway and roadway improvements. It would be prudent to stick with this plan and closely track the progress and budget of these projects before putting taxpayers deeper into debt for improvements that are already underway. Read the bill, the majority of issues have been addressed. The majority of items of my list of needs for improvement are covered in the plan. I want to change the way we do transportation and infrastructure by thinking 3 dimensional (double-decker) and employing more continuous traffic flow designs in our roads. We need new and/or improved highways to connect the rural to the urban centers as well as new bypasses to route truck traffic around Atlanta. Mass transit of any significance will only occur if and when all of the local, county and regional transportation authorities can learn to work together for the good of all Georgians. I retired from a career in healthcare insurance,. My experienced, reasoned and rational perspective on Medicaid expansion is that the shortcomings of the healthcare system will only get worse with increased spending and increased government involvement resulting from the qualifications and stipulations attached to the program. Thirty three states did not expand Medicaid when Washington offered to cover the cost at 100%. At least 7 of the states that engaged in the program are facing severe if not crippling budget deficits from the actual cost of the program. There are many other innovative approaches to solving the healthcare coverage and delivery dilemma that would result in lower costs with better outcomes and higher levels of care. Among the solutions are free-market clinical models, eliminating Certificates of Needs for competitive facilities, allowing Nurse Practitioners and Physicians Assistants to prescribe a wider range of medications, access to Tele-Medicine, just to name a few. Enabling more private insurance collectives and establishing a state pool for high risk/high use would also be of benefit to Georgians. It would be possible to take Medicaid Block Grants without the qualifications and stipulations that comes with Medicaid expansion and use those funds to bolster rural hospitals and clinics and to supplement medical practices for providing healthcare to those with limited resources. Also, enhancing tax deductions for charitable contributions to rural hospitals and healthcare facilities is a legislative possibility. If Georgia elects an Attorney General with a strong constitution and backbone, we could reduce overall healthcare costs with repealing exemptions from and judicious enforcement of the Sherman Act, the Clayton Act and the Robinson-Patman Act (monopoly, restraint of free trade, price discrimination) granted to industries that make up the healthcare system and especially the drug manufacturers. And of course, whatever can be done to clean up environmental pollutants in out food supply, needs to. As a state, we need to be encouraging our farmers to grow food for local distribution, not just the mono-culture cash crops. Healthy food and a clean environment will go a very long way in reducing the reasons we seek healthcare in the first place. “Every one of us is probably a criminal, having violated some obscure regulation on the books of federal, state, and local municipalities at some point in our life. These regulations, once put in place, are rarely reviewed, even more rarely removed when outdated and often expanded with little notice. In 2015, the pages of the Federal Register grew by a record 81,611 pages covering 3,378 final rules and regulations, nearly 600 of which directly impact small businesses. Most of these costs are “hidden”, not showing up directly in a company’s books as a regulatory expense, but hidden in the cost of new and misallocated labor, materials purchased, legal costs, paperwork and the like. For some firms, these “hidden” costs are estimated to be nine times the observed cost of compliance.” Read More here Or HERE Or HERE too. There is nothing in the US Constitution that grants authority to restrict the migration of free people. My attitude is let them come, but have them sign in on the guest registry. The fact of the matter is that immigrants are not entitled to any public benefits even if the popular opinion is that they’re getting benefits, the are not. 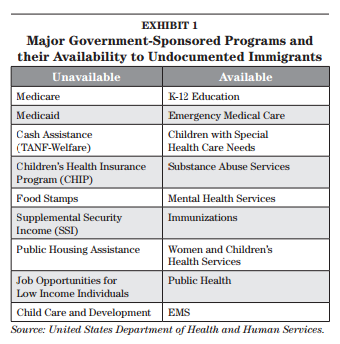 If they have children born here they are citizens and entitled to benefits if they need them, but that is rare based on audits, also immigrants are more law abiding than the general population according to numerous studies. But here is the fact that we as a country are not being told – we need immigration so that they can participate in the tax system (their children as citizens will too) because we are not having enough children to maintain the current system with the number of people retiring we are becoming lop-sided, which is why they are predicting a collapse of Social Security and Medicare within 5 years. Don’t fall for the fear mongering, America is the Great Melting Pot and the children of immigrants blend in with the rest of us shortly after birth or arrival. Here is a challenge: Show us where in the Constitution where it grants the Federal Government the Authority to regulate immigration. Send us the Article, Section and Clause. It’s time to end Income tax and property tax and go full on sales, use tax and user fees. For low income folks, we can issue a tax discount card that they can use when making purchases at the checkout counter..
Ted continued that that the first bill he would advocate would eliminate all taxes on productivity, the state income tax, and personal property taxes. “Putting the tax dollars back in families’ budgets as disposable income would be a boon to the economy and stimulate retirement savings and investment,” Metz said. His vision is to instead fund state government with a low and broad based sales tax and user fees, which are “far more voluntary than collection by coercion by threat of force.” User fees such as the Gas Tax and various utility fees would be kept in the tax overhaul. “All levels of government in Georgia wastefully spend too many tax payer dollars on unnecessary and frivolous things to the point of depriving citizens of their Right to Pursue Happiness by taking too much of their hard earned money.” Spending cuts by eliminating redundant departments and agencies, ending unconstitutional functions, and innovating for improving the efficiency of Government would yield huge savings. Evaluating the breadth and scope of “…it’s just the way we’ve always done it” is a must and would be addressed first before any sales tax rates would be implemented. “For those that believe sales taxes and user fees are unfair to the poor, the answer is issuing a discount card to families based on their level of poverty that they can use at the check-out counter,” Metz said. Market Georgia Products everywhere worldwide! Over the last 40 years, we have seen the off-shoring of most of the manufacturing jobs, from steel, to textiles, to automobiles, to electronics, to almost everything that Americans consume. There just aren’t enough places to earn a decent living for everyone willing to work. 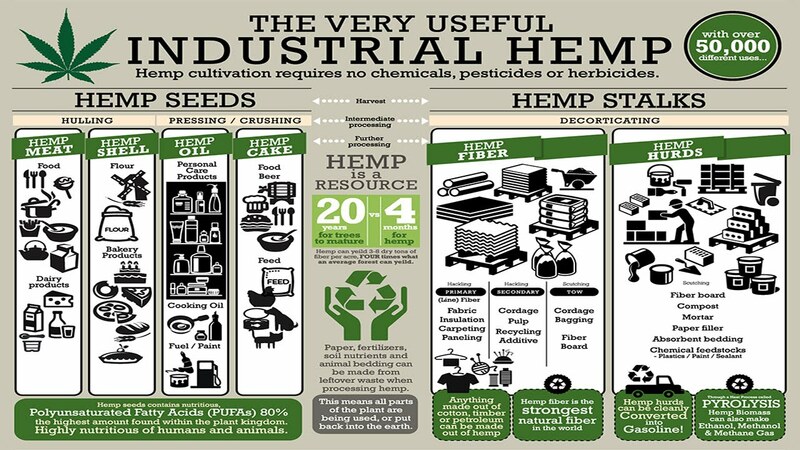 The solution is to build a new economy based on industrial hemp. Georgia is after all an agricultural powerhouse therefore we should grow hemp for prosperity. Processing hemp and using all of the raw materials that come from hemp will attract new industries to Georgia, providing jobs and prosperity. Medical Cannabis is God’s gift to the health of mankind. I fully support allowing people to use cannabis in any way they see fit in treating their ailments without government or medical intervention. No one should profit from the suffering of others. Cannabis should be as legal as tomatoes, cucumbers, apples and anything else that grows out of the ground. I would sign a bill legalizing recreational cannabis if and only if it matched what Colorado has implemented. I am deeply concerned about the course being set by the Cannabis or Hemp commissions for seed to final consumption regulations and para-military supervision and enforcement of their proposals for hemp and cannabis. Such over-regulation is based on 82 years of Reefer Madness propaganda lives strong, but the prohibition and unfounded stigma must stop. I will ensure public awareness Of Articlw I Setion I Clause 11 of the Georgia Constitution that states, “jurors shall be the the judges of the law and of the facts.” Jurors have the power to acquit people charged with victimless crimes. The United States Constitution should not be held hostage by the Deep State Political Establishment using Wedge Issues to divide us into Red or Blue; Tribes, Camps or Sides! It is the Supreme Law of the Land and should be treated that way! The U.S. Constitution is our beacon of light! I am pro-life, and recognize that abortion is a sensitive issue. There are good people on either side of the fight. Under the principal of stare decisis,(as explained here) Roe vs. Wade will not be struck down in our lifetime. Please read the case so that you can see how much thought and legal logic went into the decision. Abortion is used as a political tactic to divide and distract voters to force a choice of the least worst candidate. I stand firm in my conviction that no-one has the right to force their beliefs on others. Public funding in certain cases may be proper, but never as a primary means of birth control or eugenics. The founders wrote extensively, in private correspondences, in news papers, in the Federalist and Anti-Federalist papers about the rights we’re granted by our creator, and especially the right to protect ourselves from a tyrannical Government. Firearms are a tool, that can be mis-used for evil purposes as well as for self-defense. Samuel Colt said it best, “and armed society is a polite society.” Constitutional Carry is the best legislation the state could pass to ensure that responsible citizens can protect themselves and their loved ones from those that intend to do harm. It is a fact that in every location around the country where there is a high percentage of gun ownership, violent crime incidents are far below the national average and Kenessaw is such an example. We are constantly reminded that keeping firearms out of the hands of the criminally insane is impossible and that when seconds count, police are minutes away. No one should be prohibited from possessing a firearm in public places, this includes school security personnel and teachers in the classrooms. The difference between a victim and a survivor is the ability to return fire. As Governor, I would not sign any Religious Freedom Bill that differed by even one word from the Federal Religious Freedom Restoration Act (42 USC 21B) which only holds government accountable to and for respecting citizens’ rights under the First Amendment. An individual private citizen’s Right of Conscience is outside the scope and authority of the Government to regulate, legislate or codify. As for LGBT issues, let me start by saying that equality for all means equal treatment under the Rule of Law – equal application if the law and equal respect for the rights and freedoms that are recognized as our unalienable rights. The 1st Amendment recognizes individuals right to freely assemble, which means to me that no one should be forced to assemble with people that they do not want to associate with, it is their right. Also in the 1st Amendment is the right to freely practice their religion. What has always been upheld in court (until recently) is what is known as Right of Conscience, which means that nobody can be forced to do something that conflicts with their beliefs or their morality, (this is the basis of Conscientious Objector status in the US Military). So, when person A tries to force person B to act in such a way that violates person B’s Right of Conscience, person A needs to respect person B’s wishes and back down. Now with that backdrop, Respect is what the issue is, everyone needs to respect everyone else. No amount of legislation will ever lead person A to respect person B when the basis of the legislation goes against person A’s Right of Conscience. The answer to your question is that I would never sign a bill that creates yet another class of citizens, or grants special privileges for one class of citizens over another. I fully support equal rights when it comes to all things government, there should be across the board equality for all things, race, color, creed, sexual preference and identity, etc. including gov’t employment. But when it comes to private entities that do not contract with the government, it is a conflict for me to say that person A should be forced to assemble with, employ, contract, etc., with person B if there exists some aspect of character about person B which conflicts with person A’s Right of Conscience, especially in small family owned businesses, but perhaps the idea that once a business exceeds a certain number of employees, perhaps they should be barred from discriminating due to sexual orientation – but I think that such legislation is already in place. All in all, I think that who you love is your business and shouldn’t be a factor in employment, housing, or private contracts. Did I hit on the specific LGBT issue you were looking for, or did I veer off the track and miss it? Starting with my retirement in 2012, I attended most of the committee hearings covering the legislation aimed at criminal justice reform for the last 6 legislative sessions. Allowing Judges discretion to set bail based on resources is the only positive for the citizens of Georgia. The bulk of the reform bills have expanded powers of the state and the Judiciary while ceding authority for imprisonment, probation and supervision to private companies who profit tremendously from those incarcerated. For example, private companies typically charge $15 for an inmate to make a phone call for a few minute. In addition to adding more layers of qualified immunity to Judges, District Attorneys, Prosecutors and Law Enforcement. As Governor, I will advocate for reforms that do not prey on the accused and those caught in the system. I will fight for the elimination of cash bail, by executive order I will exclude arrest and prosecution of cannabis for personal consumption, return prisons and probation to public control, seat and support the Judicial Qualifications review board and more importantly push for Police Officer Standards and Training to shift from aggressive enforcement tactics to deescalation, recognition of mental health factors and community service roles. I only support the use of a totally independent, non-partisan, and unbiased commission to implement redistricting using demographics based on current trends in the shifting population, not based on identity politics. Our political districts need to have logical boundaries that make sense for the people geographically, as well as for the city, towns and counties falling within the district borders. The level of detail and specificity available right now on the internet for data gathering and statistical analysis based on location is staggering. There is no reason that a group of computer science students from any of our universities couldn’t produce new district maps that were fair and equitable to the voters and not beneficial to partisan politics. As Governor, I will not wait to start cutting redundant, obsolete, inefficient, unnecessary and unconstitutional agencies and departments in addition to reducing fraud and waste, I’ll also implement innovative methods and technologies to make government more efficient and less costly, and bank the savings as reserves or as a base to reduce taxes. In the event of a recession, I will have an action plan with predefined trigger points at which to take action based on the duration. If economic conditions are that bad, it would be highly unlikely to find new sources of revenue, and raising revenue in the form of new taxes or higher taxes on any and all that still have an income is not a righteous course action in my opinion. My more cost effective approach to running the Georgia state government along with curtailment of discretionary spending would allow us to keep all vital services running and easily carry us through typical recessions we have seen in the past. With respect to gambling, since we already have gambling in the form of the lottery, scratch offs, keno and electronic gaming machines in every corner convenience store, we have to acknowledge that gambling is already here. It is my opinion that in order to be competitive with other cities’ and states’ tourism and convention appeal, casino gambling would be a good strategy, especially with the planned development of the Aerotropolis. My opinion is that casino locations be confined to commercially zoned areas, away from elementary and high schools, however the building they occupy should only be restricted by occupancy and fire code. Gaming taxes should be levied based on a the cost of the gaming tokens at the point of sale like any other sales tax. Other tax revenues would be raised just like any other business, property taxes, income tax and other sales taxes and if located in a hotel, then hotel taxes as well. All winnings for individuals would only be distributed with a 1099 so that taxes on income can be properly reported. Revenues from the gaming tax would best be applied to healthcare and education. For those that are against casinos, they can stay out of them. For those concerned that a gambling habit could be detrimental to a person and/or their family, a reasonable limit on the purchase of gaming tokens can be established as well as a data-base of people with gambling addiction issues for restricting access to the purchase of gaming tokens.